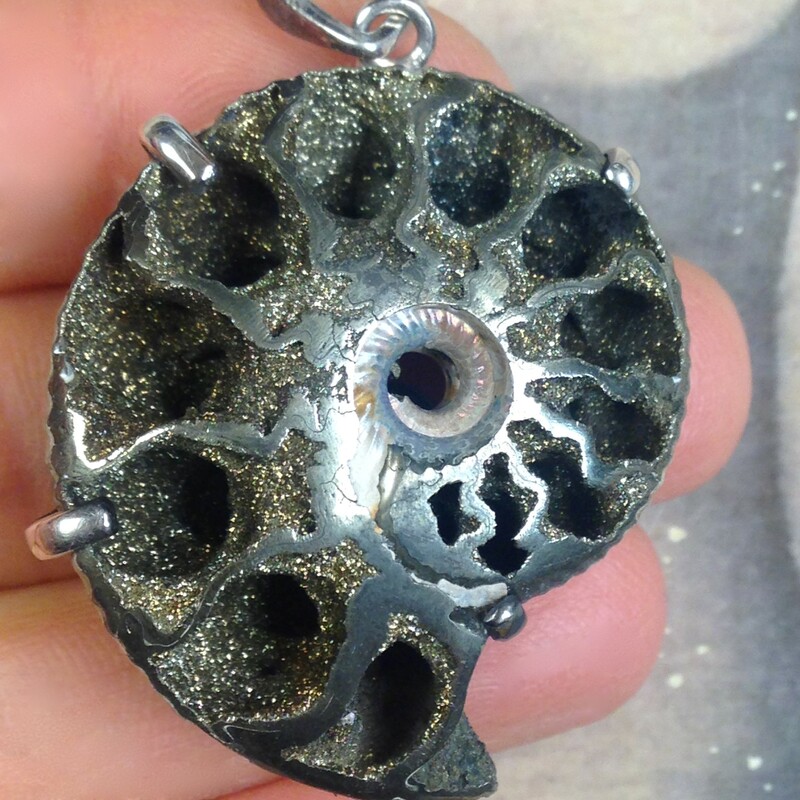 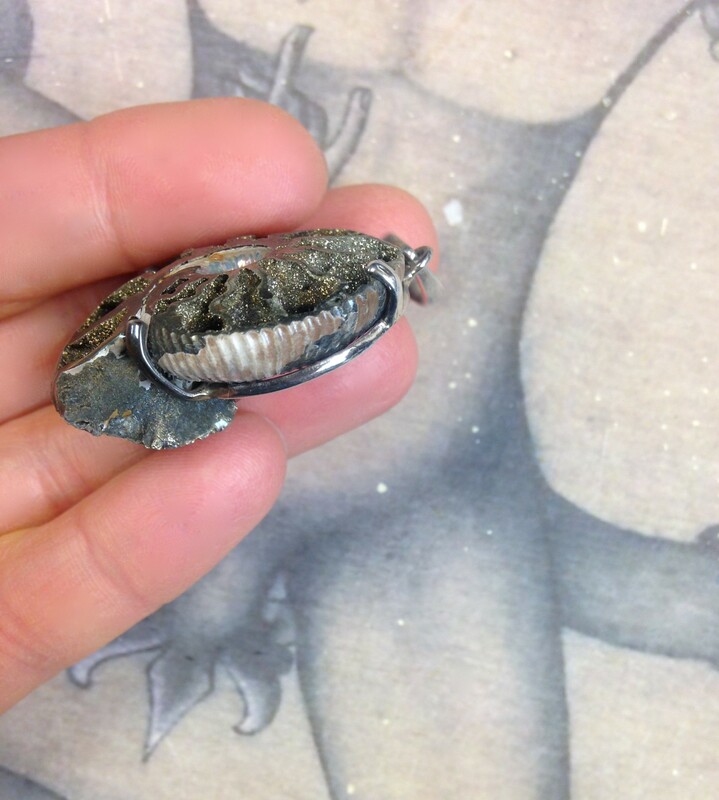 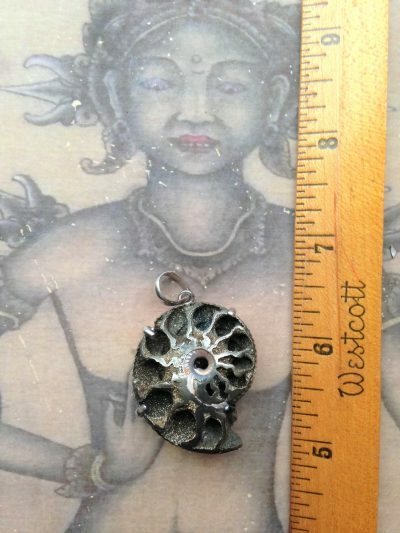 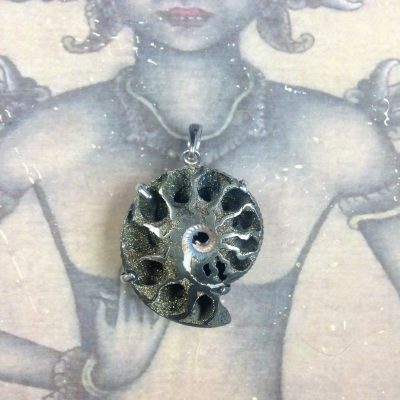 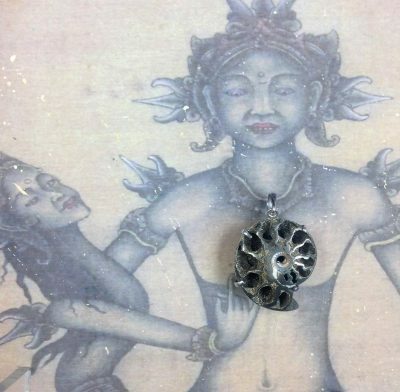 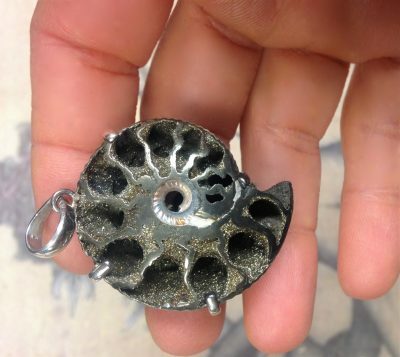 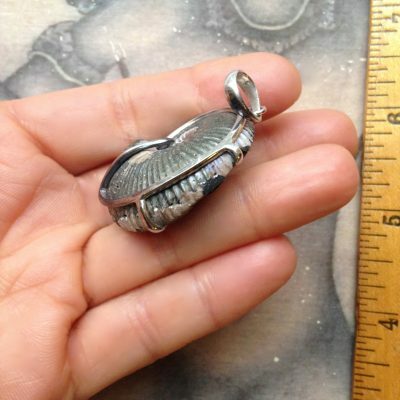 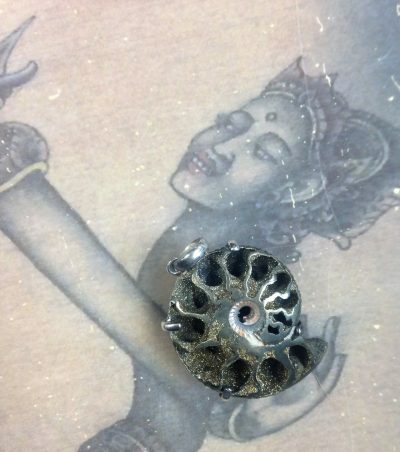 The”face”of this amazing pyritized ammonite has been polished off to reveal its magical, mesmerizing inner chambers! 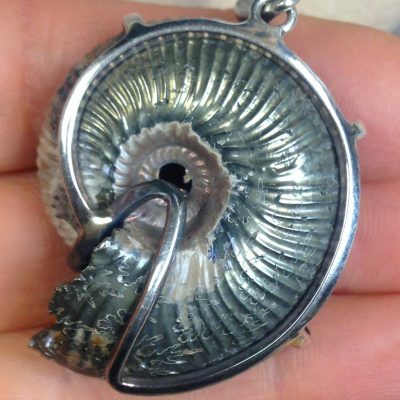 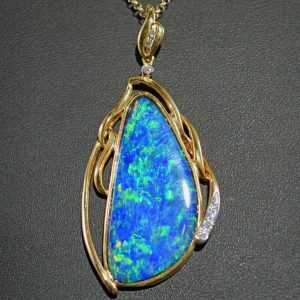 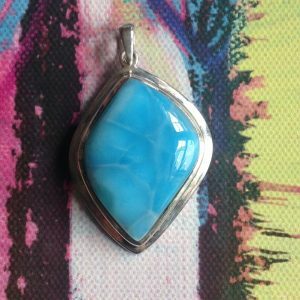 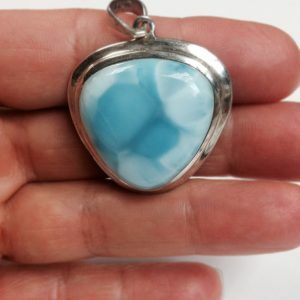 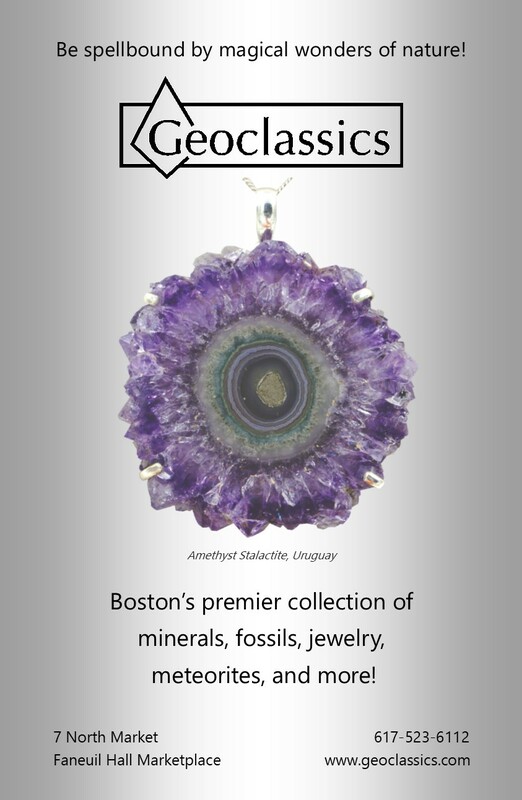 This sterling silver pendant is from our very own Geoclassics production line! 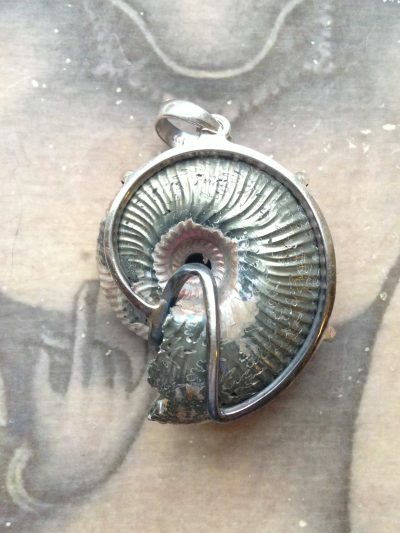 Genus / Species: Rondiceras sp.